There is a lot that goes behind when an order is placed on Amazon and it is delivered to you. If you are an Amazon Seller, you should be aware of a concept called Fulfilled By Amazon. According to this arrangement, sellers who are ready to be part of FBA will stock their products at Amazon Fulfilment centres. When an order is received, Amazon, picks up the products, packages it and ships it to the customer. If you are a seller with Amazon and part of FBA, you need to choose your FBA Logistics or Freight Forwarder wisely enough. Well, choosing the right freight forwarder is indeed a huge task in itself. The following tips can help you arrive at the best freight forwarder for your needs. Does your chosen logistics partner have a prior experience with FBA? Amazon has stringent rules that govern how the products are stored at their fulfilment centers and how they are packaged and labelled. If the freight forwarder you have chosen has a previous experience with Amazon FBA, it would help you simplifying the procedure involved in the shipment. In fact, if they have already worked with Amazon, they will be aware of the rules and guidelines and have all the arrangements to take care of these guidelines. A freight forwarder that has the tendency to grow with you and let you grow is what would help you have a long lasting relationship. They should have a network that has services spread across all the major destinations where Amazon Fulfilment Centres are located. Working with a freight forwarder or the Amazon FBA Logistics partner who has a growth potential is the right candidate for your requirements. They will be able to meet your needs as you grow beyond boundaries and thus can help you improve your supply chain grow. 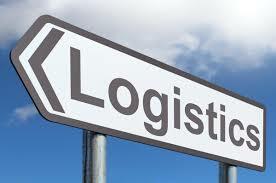 The FBA logistics firm you have chosen should be responsive at its best. Ensure that they tend to make your business their priority. This can achieved by means of close communication and an extended relationship. Your chosen Amazon FBA Logistics company should be able to communicate you the changes if any made in the Amazon FBA policies. They should be in a position to help you streamline your business in line with the Amazon policies and guidelines. In fact, we would expect them to provide you inputs on how you can improve your supply chain. Investing in the right Freight forwarder is the key to achieve a maximised benefits and profits in terms of your E-Commerce business. In fact, they would be the front end of your supply chain and how you build a relationship with them will be the key to achieving success. Coordinating with multiple shipments and saving the precious time is what the Amazon FBA Logistics will help you in achieving the task of becoming a successful Amazon Seller. So, choose your freight forwarder wisely enough and grow with them!